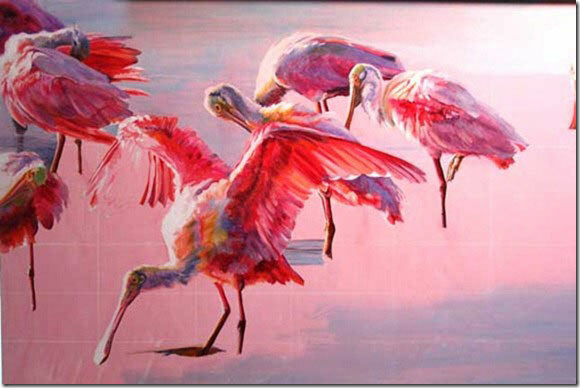 My newest painting, under construction — "Pink Fluff"
Medium: Oil Dimensions: 18x36 Subject Matter: Roseate Spoonbills Notes: My newest piece which I’m very excited about and having a blast painting. It is very brilliant in color with a pink underpainting. This entry was posted in Blog, New Pieces. Bookmark the permalink.